Window shutters Axminster, by Just Shutters, your longest established local shutter experts. 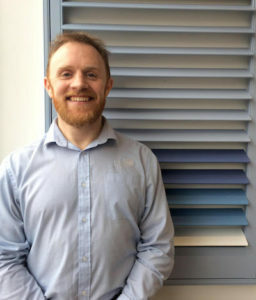 Gavin McGuiness, your local shutter specialist is delighted to offer the beautiful market town of Axminster and the surrounding areas, our stunning Plantation Shutters. Just Shutters have the finest range, quality and service, complete with our market-leading lifetime guarantee. Call Gavin McGuiness (pictured right) today on 01305 230321. 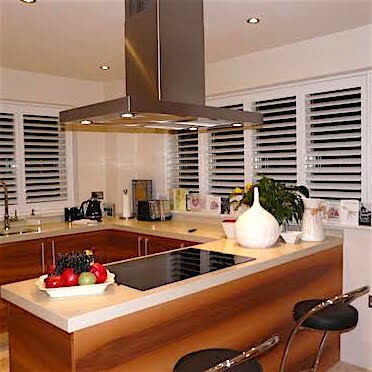 At Just Shutters, we have and absolute passion for plantation shutters. Founded in Dorset in 2006 after we fell in love with their elegance and timeless style, we wanted to share this with the world. Gavin, your local expert has an eye for detail and focus on perfection, he will be with you on every step of your Just Shutters journey. An increasing number of homeowners in the local area are realising the benefits of plantation shutters from Just Shutters. Not only for their stunning looks, but shutters are a highly versatile option for your windows and doors and offer a wide array of benefits. Our incredibly versatile window treatments complement any home and design style. What’s more, Just Shutters have our own exclusive ranges as well as the largest array of shutter materials and finishes in the UK. While shutters are very practical; they offer perfect light and shade control, energy efficiency, privacy and add value to your home, first and foremost, shutters are beautiful. While their long term benefits make them a delight to live with, we find the number one reason people of for shutters is their looks. Shutters compliment so many different types of property and interior designs. Especially with our broad range. They are so easy to maintain, they do not damage in sun or heat and guard against noise pollution. On top of the largest range of styles and finishes to ensure the perfect look for you, there are more than five louvre sizes. So whatever your home’s style, we have the look to compliment. Just Shutters offer the finest products in the world, which comes with our lifetime guarantee and our renowned customer service. You can trust that when we say not all shutters are the same it is true! Please do telephone 01305 230321 to discuss your plans with Gavin and book your no obligation home design visit.